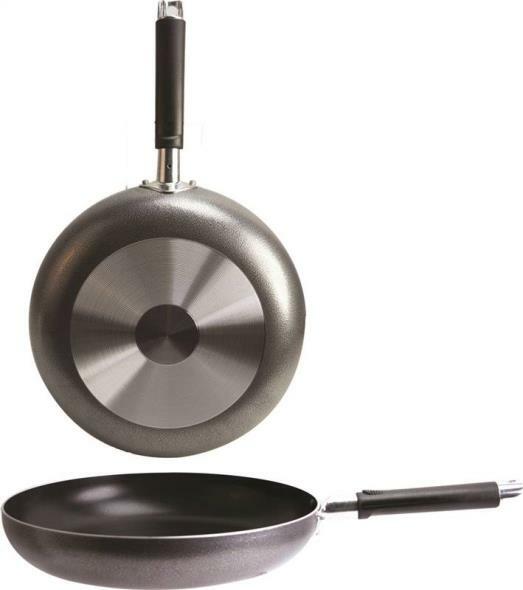 COOKPRO 522 Professional 18/10 stainless steel egg poacher with 4 non-stick coating egg cups. 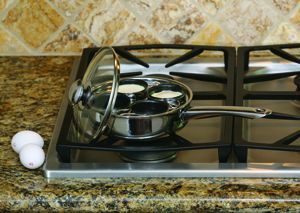 Stay cool handle and knob, see through glass vented lid. 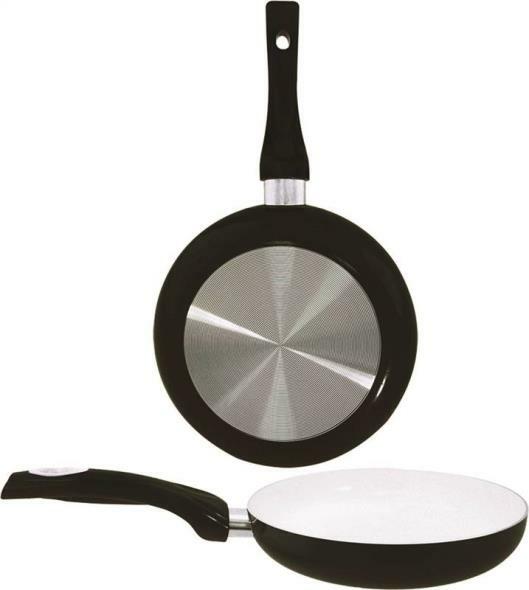 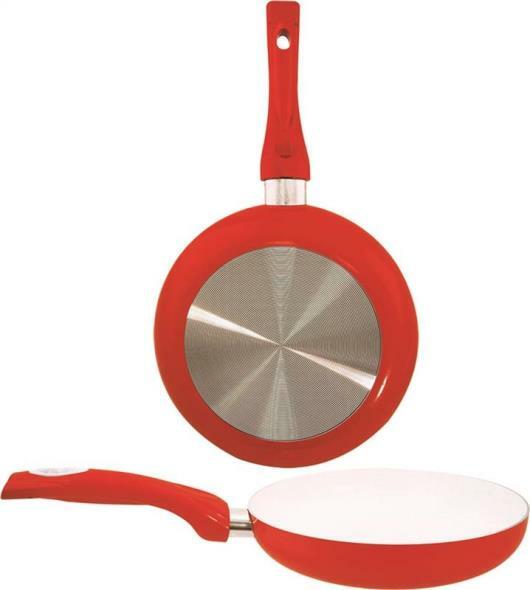 Egg poacher & 7-12' lidded fry pan all in one. 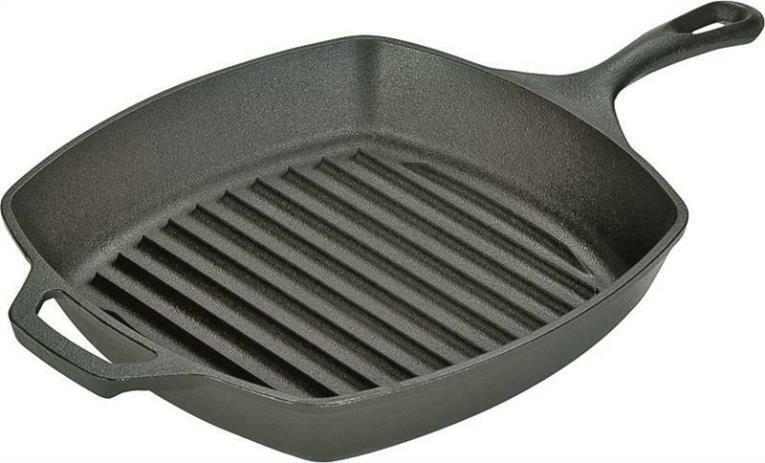 The King Kooker 12" Cast Iron Skillet is great to use at the campsite or in the kitchen. 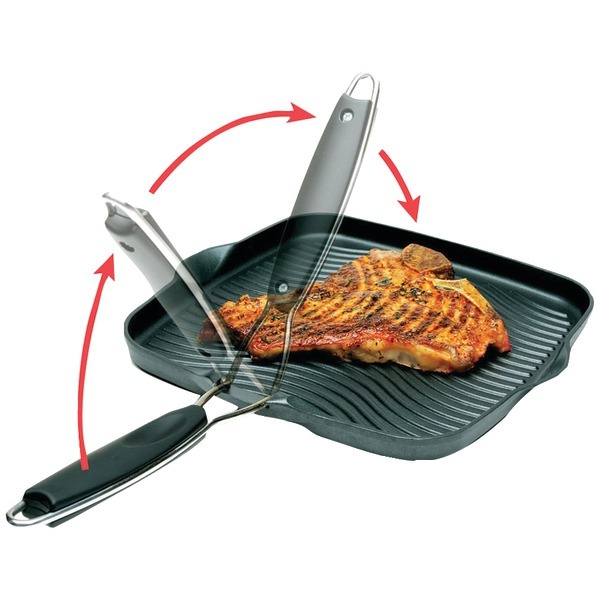 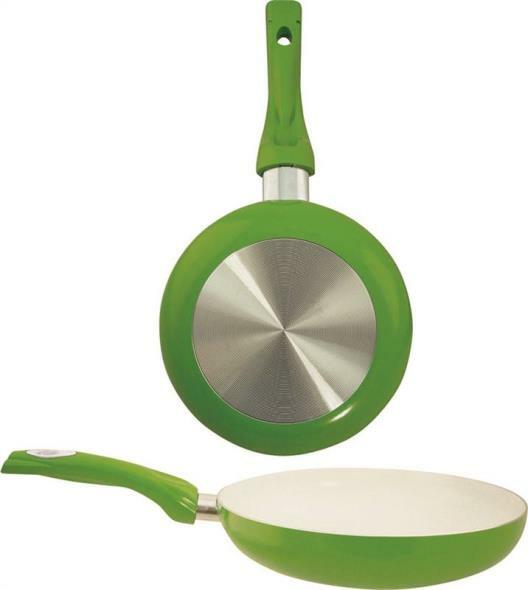 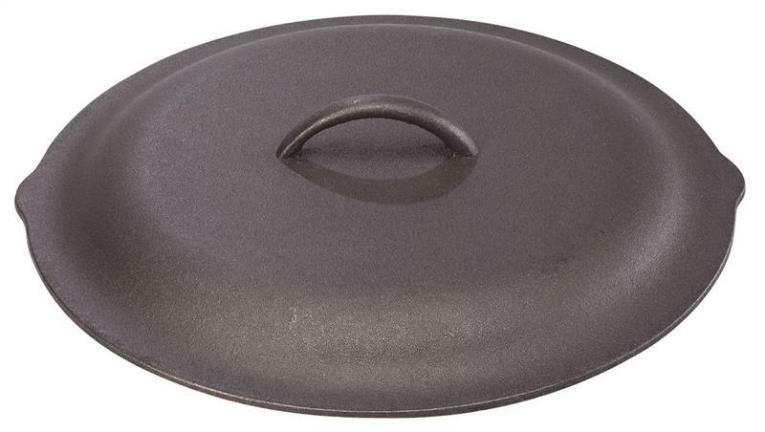 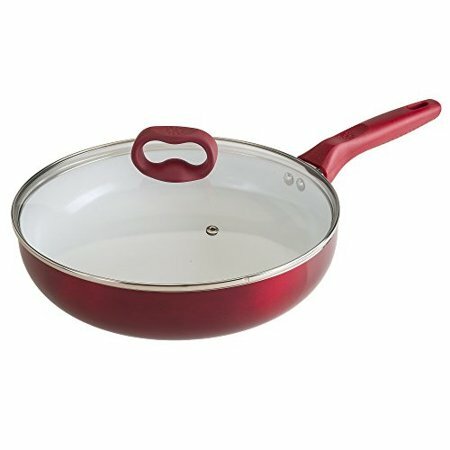 A helper handle, primary handle, and pouring spout sides are included in the design of this skillet to provide even more ease of use. 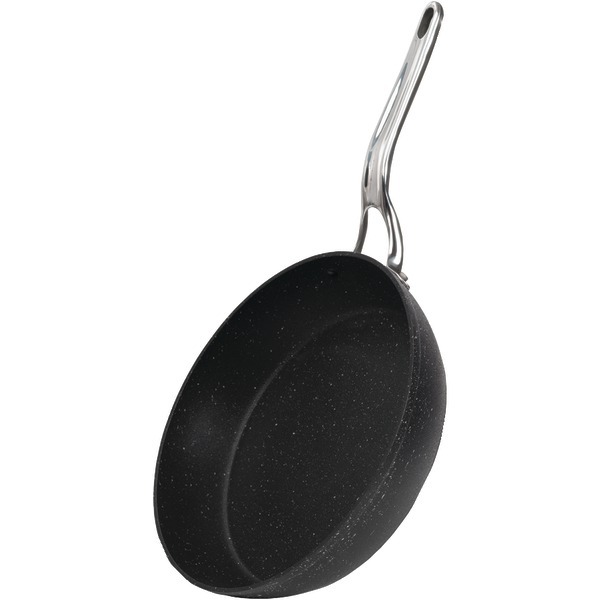 It also includes a hole in primary handle for hanging. 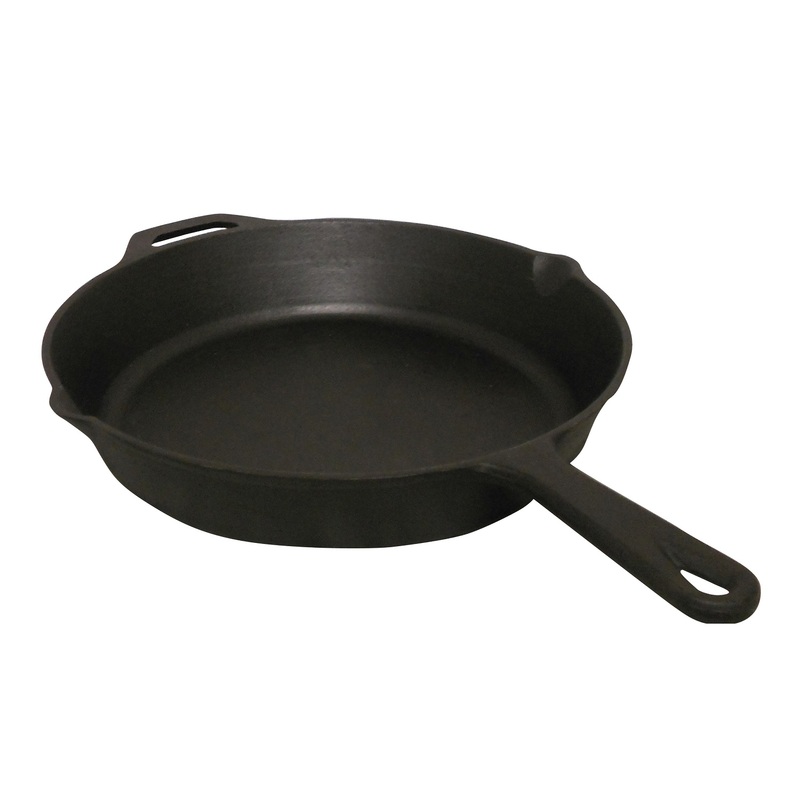 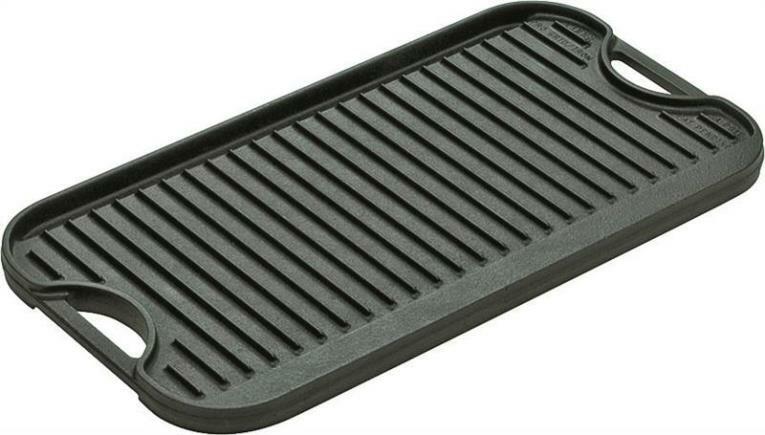 The cast iron construction allows for even heat distribution and eliminates cold spots. 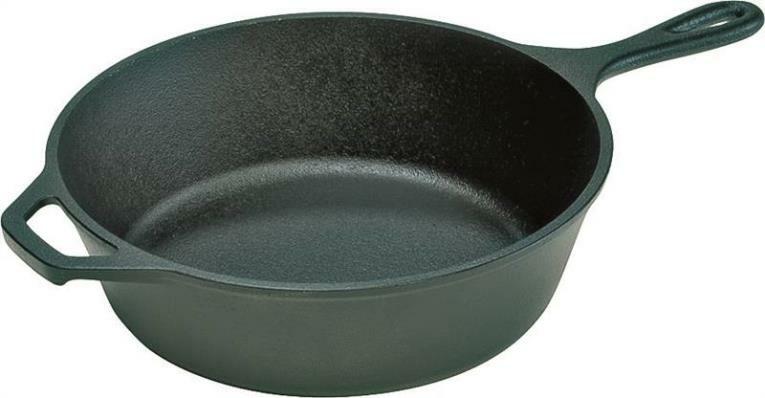 Comes pre-seasoned and ready to cook. 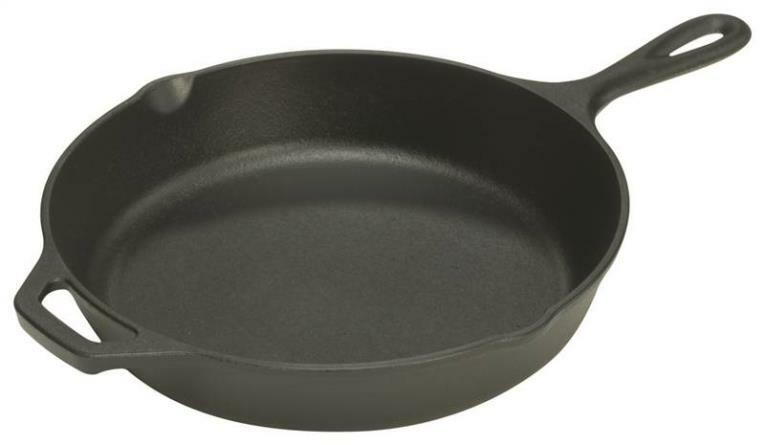 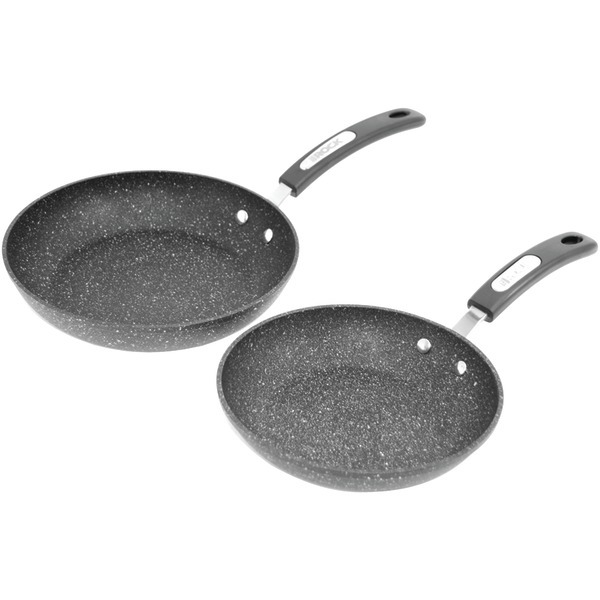 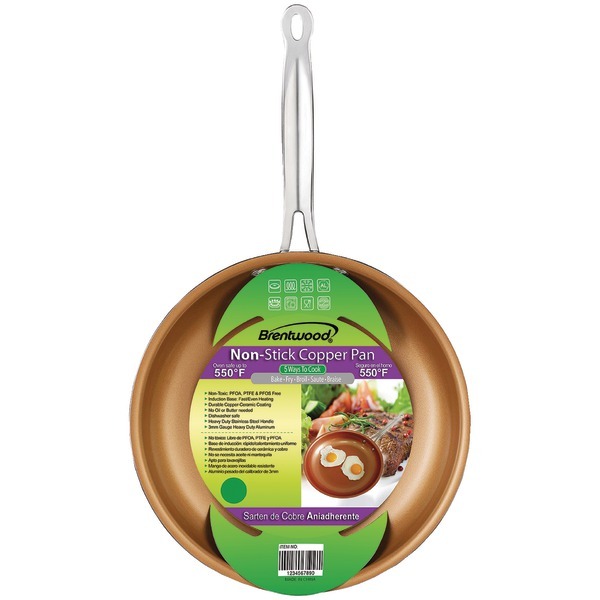 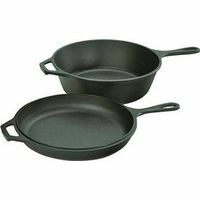 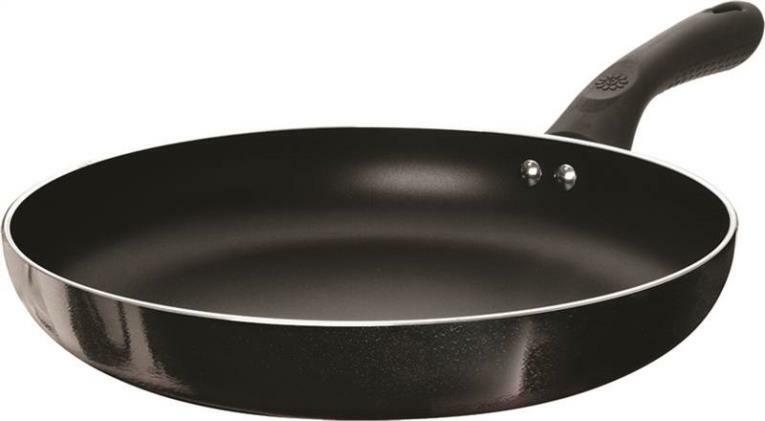 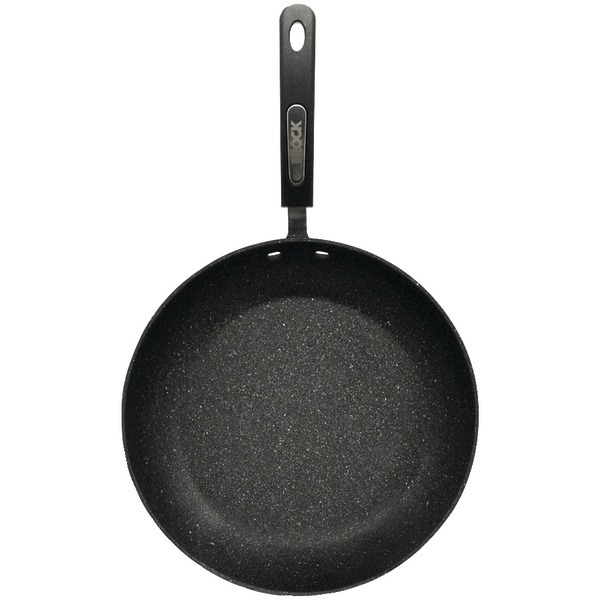 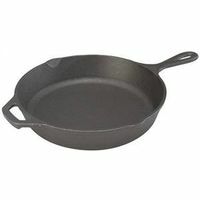 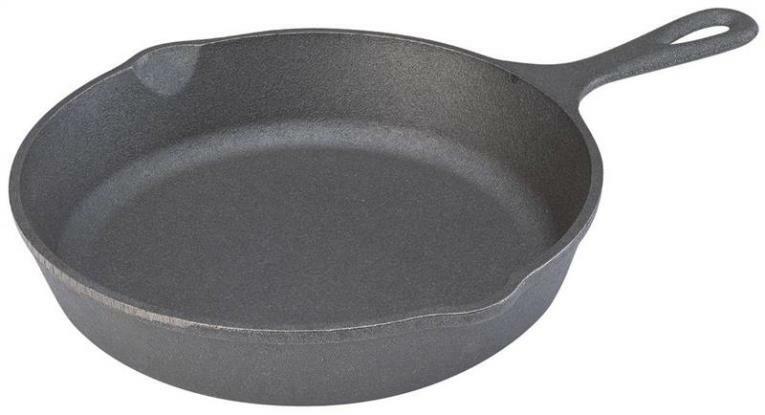 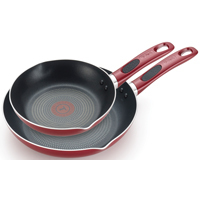 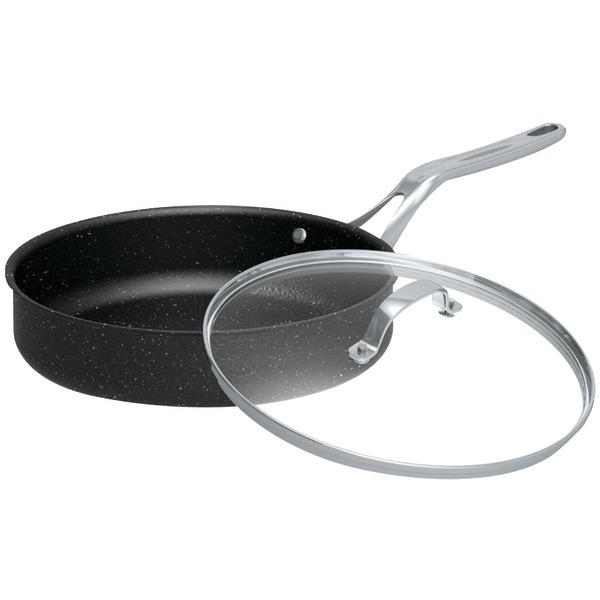 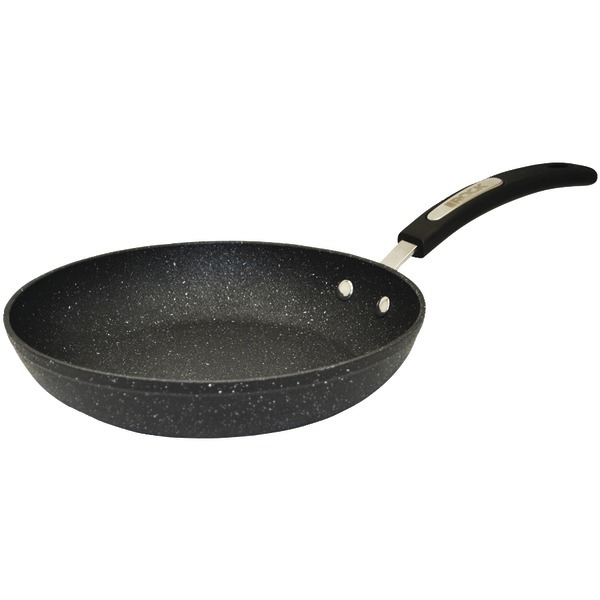 Extra-thick forged aluminum base; Optimal heat distribution & even cooking; Guaranteed never to warp; Durable rock-like finish lasts 3x longer than traditional nonstick cookware; Scratch- & abrasion-resistant; Dishwasher safe; 10-year warranty; 12"
Ecolution Artistry 12 1/2 inch Grande Fry Pan Description: Do Good Hydrolon is our ecologically advanced water based non-stick coating. 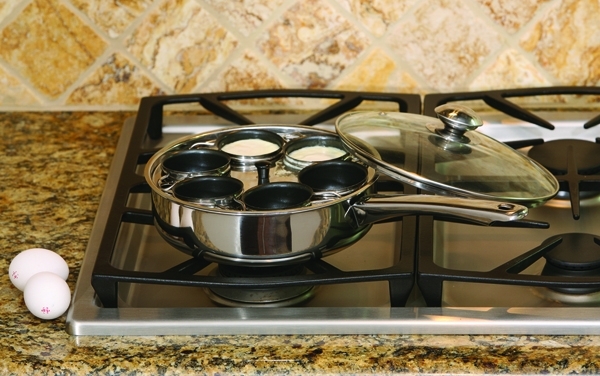 COOKPRO 521 Professional 18/10 stainless steel egg poacher with 4 non-stick coating egg cups.